THE STORY - Humans are at war with the Transformers, and Optimus Prime is gone. The key to saving the future lies buried in the secrets of the past and the hidden history of Transformers on Earth. Now, it's up to the unlikely alliance of Cade Yeager (Mark Wahlberg), Bumblebee, an English lord (Anthony Hopkins) and an Oxford professor (Laura Haddock) to save the world. THE GOOD - If you're into "Bayhem" then Michael Bay's fifth time behind the camera for this franchise will give you exactly what you're looking for. THE BAD - Terrible plot. Ridiculous characters. This franchise should just give up. "Transformers: The Last Knight" is a lackluster installment in an already disappointing franchise. Carrying over all the problems from the previous films, "The Last Knight" is not necessarily terribly crafted but terribly told. With poor characters, a plot that you can barely call a plot and just a flat out bad screenplay, Michael Bay and Mark Wahlberg will not be going out on a high note with this film. "Transformers: The Last Knight’s" plot is, well...actually there isn’t really a plot. The poor excuse that you could make for a plot does not really begin until about an hour and forty-five minutes into the movie. After Cade Yeager (Mark Wahlberg) learns he has been chosen to be the last knight (ba dum tiss), he meets a woman by the name of Vivian Wembley (Laura Haddock) who is the last descendant of the wizard Merlin. When Merlin was alive back in the medieval times, a Transformer blessed him with a staff that could command a dragon, which isn’t actually a dragon it’s twelve Transformer knights fused together. This staff will either save the entirety of humanity and Cybertron or will decimate Earth if the staff gets into the wrong hands. Phew, that was a long-winded, difficult explanation of the story. And trust me if you read that thoroughly confused, the entire film is viewed in that same confused state of mind. As you can probably tell, the first and most notable issue with the movie is its absolutely ridiculous storytelling. From the beginning of the movie to the very end, the story is completely all over the place. They jump from one subplot to another consistently and each new subplot we learn about is just as confusing as the last one. The interesting storylines involving both the Transformers and the humans doesn’t really begin until about an hour and a half through the movie. For the whole first part of the film we just witness these terrible subplots that revolve around the incredibly stupid human characters. Even once when we get to the mildly interesting story, it still is completely jumbled and disjointed. The plot points do not really connect with one another and events just happen without any context. The entirety of the story is just so difficult to swallow and ridiculous in every way possible. The only thing that might be more ridiculous than the story is the characters. None of the characters serve an actual purpose to the overlying plot. Even the characters that are meant to have a purpose to the story don’t actually serve a purpose? The characters just kind of fill the slot of “Oh well we need to have a character here so that this plot point can work itself out.” Mark Wahlberg’s character is just a disgruntled man with a lot of regrets. Though he doesn’t actually show these regrets? He just speaks them aloud with no real emotion in his delivery, so he is just constantly commenting on how bad his life is? Josh Duhamel’s character is just another cog in the military machine, blindly following orders and he now is somehow on the bad side? 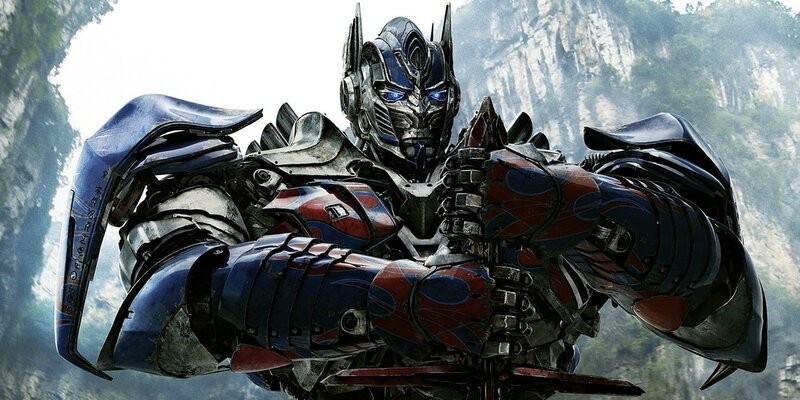 When in the previous films he as fighting for the Autobots he is now hunting them down, but then in the third act he changes his mind and begins fighting for the Autobots? As if the plot points weren’t confusing enough already, the characters and the decisions they make are just as mixed around and disjointed. The only real highlight of the film is the visual style. Michael Bay has always been a strong visual director and "Transformers: The Last Knight" is just overflowing with “Bayhem.” Michael Bay is clearly a slave to his own substance, and that is not a bad thing. Bay approaches all of his films with the same mindset; I need to combine what I think are good shots with good edits, and every shot MUST be dynamic. Bay has a tendency to not shoot anything static but keep everything incredibly over the top and consistently in motion. Michael Bay does not necessarily bring anything new to the table in terms of the action sequences. He just adds more layers to the already preconceived sequences. Instead of creating a new foundation he just constantly builds underneath it. For example, his shots feel insanely huge because to the point of being overbearing. Every big moment in his films are meant to feel even bigger than they already are. Instead of channeling a new approach to the cinematic climax, he just throws more things into his climaxes. The background, camera, or characters are always constantly in motion, making everything feel more dynamic. This style is more relevant than ever in "The Last Knight." Each shot is preposterous, fast moving, and absolutely enormous in scale. "Transformers: The Last Knight" does not improve the franchise in any way but it does help prove the fact that Michael Bay is an auteur who exhibits total control over his movies. This is unmistakably a Michael Bay film. Whether you are down with that or not will vary greatly. With an absolutely terrible story, incredibly ridiculous characters, and an atrocious screenplay, "The Last Knight" does not fix any of the problems that the franchise has already created. "Transformers: The Last Knight" is not the worst summer blockbuster, but it is definitely a tough one to swallow.